The economics of solar-and-storage in the UK are being proven, Anesco has said. 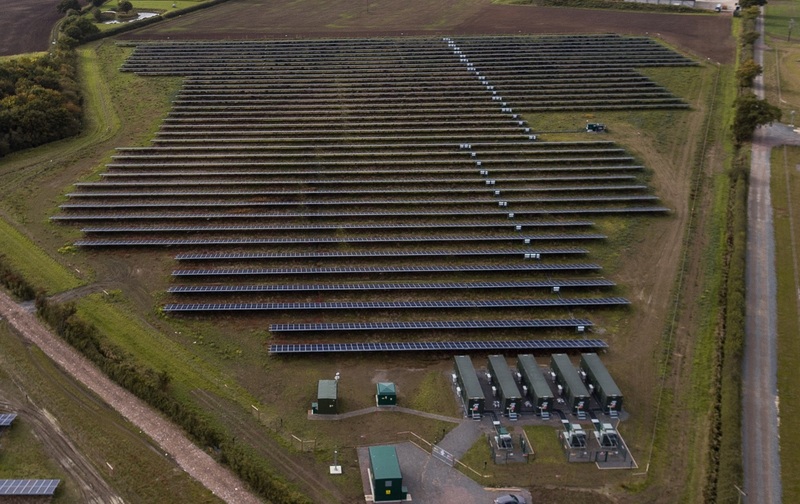 When Clay Hill was unveiled as the UK’s first subsidy-free solar project last summer it captured the attention of industry and government officials alike. Energy and climate minister Claire Perry has since used the project’s completion to claim that solar PV is capable of deploying without subsidy support. But Anesco has distanced itself from those specific claims and yesterday Shine insisted that it was not true that the industry has “cracked” subsidy-free solar. Instead, Shine sought to stress the difference between true subsidy-free solar and hybrid projects that combine the generating capacity with battery storage. In discussing project financing and the specific revenue stack behind Anesco’s projects, Shine indicated that banks his company were speaking to were becoming more comfortable with the merchant risk behind co-located solar and storage. Clay Hill and other prospective hybrid projects by Anesco were submitted for both the T-1 and T4 Capacity Market auctions earlier this year but failed to qualify. If successful, these auctions could have secured 15-year contracts for the projects to provide back-up capacity should the grid need it. But Shine said that it was of little concern that the projects missed out on the Capacity Market, stressing that revenues from that mechanism would only have accounted for as little as 6% of revenues after battery storage technologies were de-rated.